Jonesboro is a small,Atlanta suburb that found its claim to fame in the opening pages of Gone With the Wind. 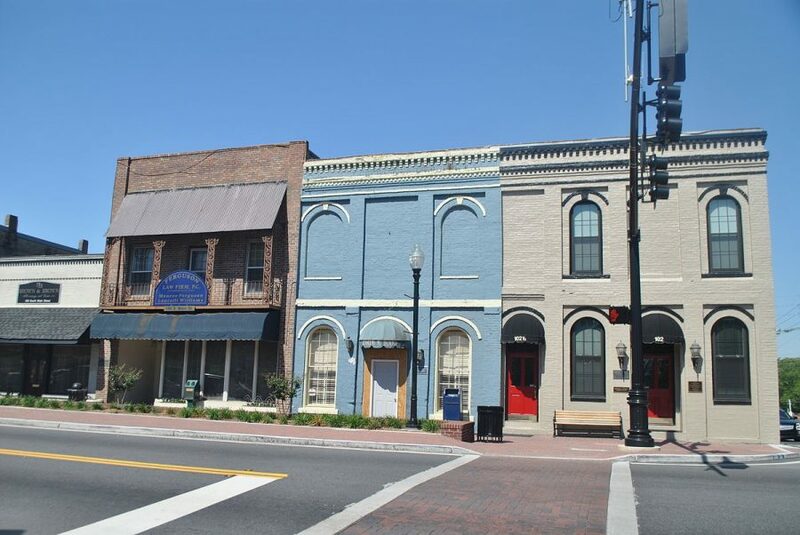 In fact, many of Jonesboro’s stories were what inspired Margaret Mitchell to set her story here, so when you’re walking through the city, you’re walking the actual version of the fictional streets that Scarlet O’Hara once walked. Jonesboro is Atlanta’s “true south,” and as you’ll quickly discover, this is where southern hospitality stems from. Jonesboro has very affordable housing and lower than average rent rates when compared to the national averages. The median home value in the city is just $79,000, which is over $110k less than the national average ($184,700). Jonesboro’s median rent is $837, compared to $949 nationally. Jonesboro has more renters than it does homeowners, by a difference of 56 percent to 44 percent. The most popular home styles here are the ranch and the raised-ranch. Despite being such a small suburb, Jonesboro is well-covered by public transportation, as the area is served by MARTA buses and Xpress GA/Georgia RTA buses. For car commuters, U.S. Route 19 travels north to south along the western edge of Jonesboro and through a portion of its south side, while State Route 54 travels straight through the heart of the city. Jonesboro’s population is made up of 60 percent African-Americans, 24 percent Whites, 11 percent Hispanics, three percent Asians, and two percent people of two or more races. Approximately 36 percent of adults have attended at least some college, with 13 percent having earned a bachelor’s degree or higher. Men make up a larger portion of the population in Jonesboro, outnumbering women by 10 percent. Age-wise, the median age in Jonesboro is 31, with 21 percent of the population being between 25 and 34 years old. The second-largest age group is made up of people aged 18 to 24 years (17 percent). Jonesboro’s median individual income is $17,221, considerably lower than the national average of $27,419. The city’s median household income is also lower than the national average, $31,343 to $55,322. The unemployment rate (7.8 percent) in Jonesboro is currently double the national rate of 3.8 percent. Although Jonesboro is small in land mass, it more than has its fair share of great places to eat. At Flavors of Thailand, you’ll enjoy a menu packed with Thai favorites, while at Sonny’s BBQ you can dive in to classic southern barbeque. VIP New Orleans Seafood is a popular spot for seafood, and Albatross Public House and Pizzeria serves the best gourmet pizza in the area. There’s also a good selection of quality cheap eats in Jonesboro. Wings On Wheat has the city’s best wings, while at II Dua, you can enjoy Vietnamese food for less than your usual fast-food drive-in. Mexican food is the specialty at Taqueria La Oaxaquena, and at Jamaican Taste, you’ll find spicy jerk chicken and other Caribbean delights. Jonesboro also enjoys one of the hotter nightlife scenes in the area thanks to dance clubs like The Gate and Club Sugar Bush. If you want a more traditional watering hole, then you’ll love the atmosphere at Ms Jacks Place, or if you like hookah with your drinks, then Khalifa Hookah Lounge is where you’ll want to go. Sports bars are also in good supply in Jonesboro with some of the favorites including Seven Sports Bar & Lounge, Sports Café, and Skyboxx Restaurant and Sports Bar. Jonesboro is home to the Road to Tara Museum, a museum dedicated to Margaret Mitchell’s Gone With the Wind. The museum’s exhibits include actual dresses worn in the movie, props, original manuscripts and more. Jonesboro is also graced with many parks, fishing reservoirs, and award-winning golf facilities. At The Beach, you can enjoy the six-acre lake and an outdoor area featuring hiking, biking, tennis, and volleyball, and at the 1869 Clayton County Jail and History Center, you can take a walk back in time. Arts Clayton Gallery is where you’ll find exhibits from local artists on display, and at Stately Oaks Plantation, you can see an actual restored plantation from Georgia’s past. For the kids, there’s Clayton County International Park and for those who love Civil War history, a visit to Patrick Cleburne Confederate Memorial Cemetery shouldn’t be missed. Jonesboro’s seniors receive excellent support and life assistance through Clayton County Senior Services and the J Charley Griswell Senior Center. The senior center provides local seniors with a variety of programs designed to improve their socialization skills, learn new things, and provide entertainment. There are also plenty of programs that place an emphasis on health and wellness, including health screenings, exercise programs, nutrition, education, and day trips. Residents of Jonesboro receive excellent healthcare and medical services through the Southern Regional Health System, including its main location, the Southern Regional Medical Center, the Georgia Orthopedic Institute, Bariatric Center, Acute Rehab facility, and Women’s Life Center. The Spivey Station Surgery Center is also located in Jonesboro. Jonesboro might be small, but it’s growing every day and it’s a city to watch. With its affordable housing, excellent medical services, and other premier amenities and attractions, it definitely needs to be considered if you’re working within a budget for your relocation plans to the Atlanta area. Do you love the homes in the Atlanta metro? Stay up-to-date on home trends in this area by signing up for our updates below! Sign up for FREE home trends updates about Atlanta today!